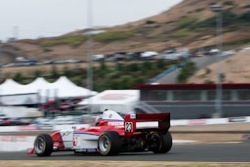 Jeffrey Dahl’s gallery of the Star Mazda series at the Mazda Grand Prix of Portland. Walt Ottenad’s gallery of the 2007 Star Mazda race held on June 8-9, 2007 in Portland, OR. The high resolution images at SmugMug.com can also be viewed with Cooliris.